It’s funny how as siblings get older, they can get closer, too. My sister and I used to fight like cats and dogs, but recently we seem to be getting along. She’s midway through a performing arts course in Kent, so we’ve made it a monthly tradition to meet up and go for dinner and a show. I’m personally not the biggest fan of musicals but they are her absolute favourite – and I get a kick out of how excited she gets! She was born in South Korea, and as kids we spent a few years living in Seoul. 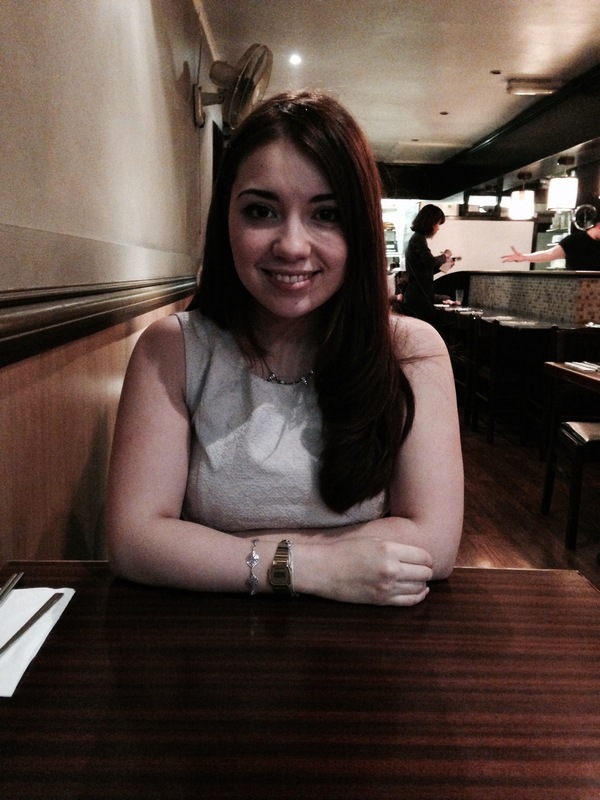 We both love Korean cuisine so we headed for the little strip of Korean restaurants just under Centrepoint, on Saint Giles High Street. Po-Cha seemed to be full of Korean customers, which is always a good sign! It gives off a good vibe – a pretty bare, fuss-free decor with the promise of delicious authenticity. 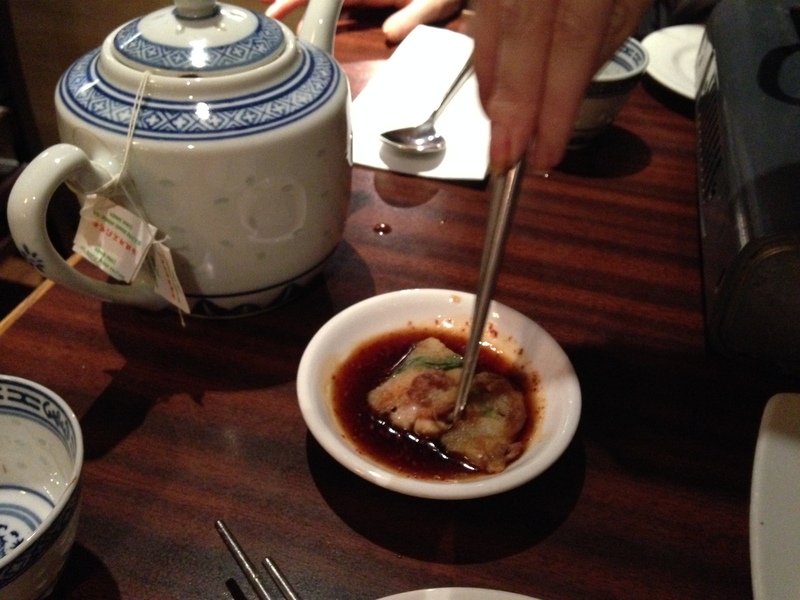 We settled in and ordered a pot of jasmine tea as we scoured the menu. 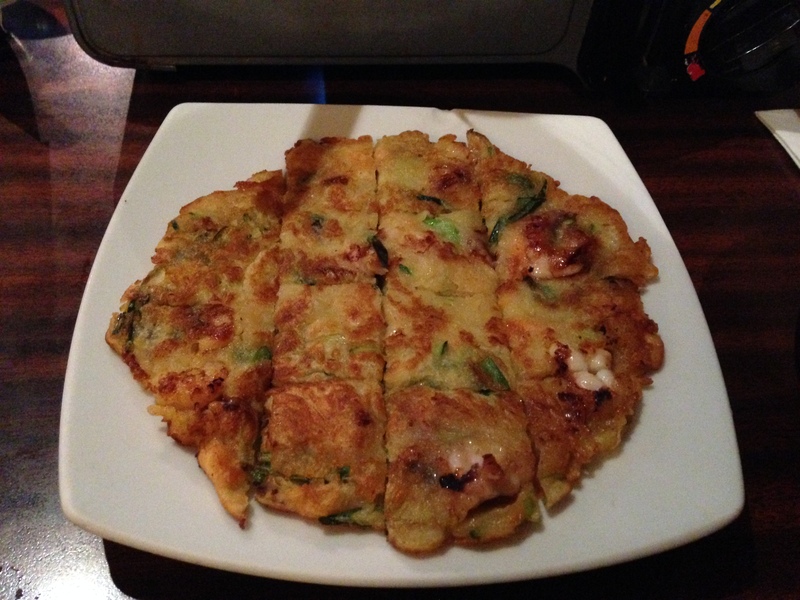 My sister is the kind of person that immediately gets food envy so we decided on splitting everything, and ordered a pajeon, which is a savoury Korean seafood pancake for our starter. 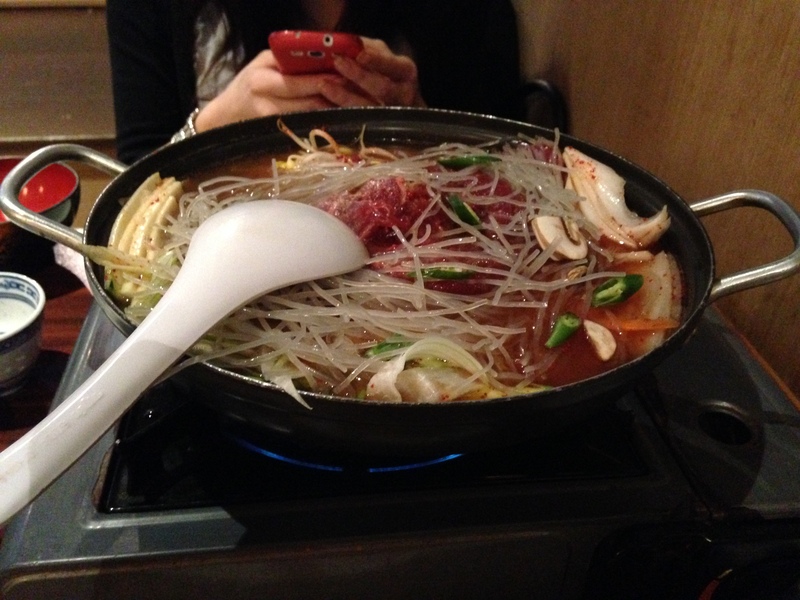 For our main we chose a kimchi, tofu and beef hotpot. Hotpot, in my opinion, is the perfect winter meal – what can be better than gathered around a delicious warming stew? It’s also extremely healthy, and doesn’t require any oil. Kimchi is a traditional korean staple made of spicy, fermented cabbage. Not the most appealing description, I know, but it is absolutely divine, trust me! My sister was pretty much bottle-fed the stuff. The hotpot was delicious but slightly too much for the two of us to handle – it would’ve been perfect for a group of three. Our meal came to a total of £38 which I felt really reasonable for the quality of the food. For an authentic Korean dining experience I would really recommend Po-Cha. Bellies full, we settled the bill and walked 5 minutes to the Phoenix theatre, where we were going to see the musical Once. I want to start my review by being upfront, and re-iterate that I am not a fan of musicals as I don’t want to put anyone off from going to see it! 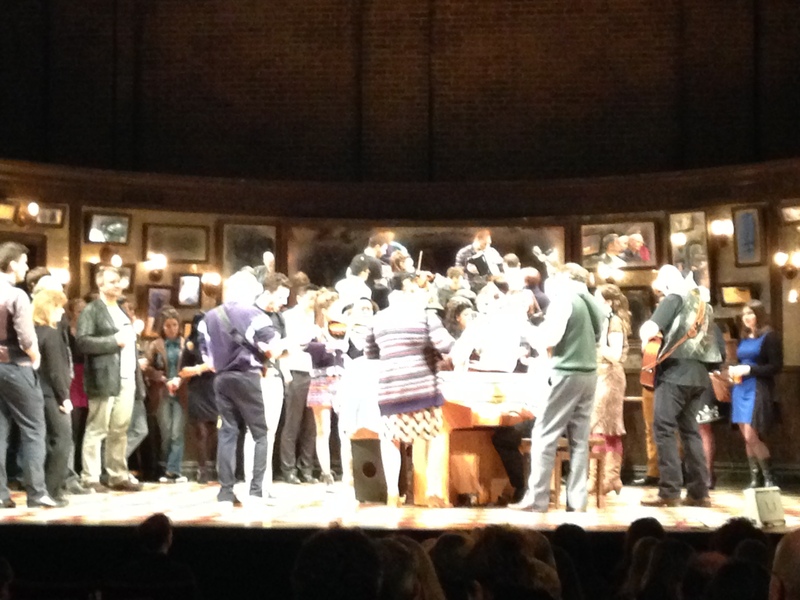 As we walked into the theatre some of the members of the cast were up on the stage, which was set up like a bar, and were strumming along and singing songs with some members of the audience up there too. It was a really lovely atmosphere and you felt like you were in some kind of alternate-universe pub where people spontaneously burst into song. I loved the set design – although throughout the performance you could feel the tube running under you which I found slightly distracting. What I loved about the performance: really excellent acting, the amazing set and execution. The actors were all so talented – there isn’t an orchestra in Once, so every member of the cast is playing an instrument (often cello, violin or guitar) and more often than not are dancing around the stage with it. As a former cellist myself this is no mean feat! However, I personally didn’t find that the songs stuck with me – it just wasn’t my cup of tea. My main issue with musicals is that I often find the music takes away from the plot. But I was accompanied by two musical theatre geeks and they absolutely loved the show, so what do I know?! The one naughty photo I managed to take before I got yelled at by a grumpy usher. My personal highlight of the evening though, was not the show, but a member of the audience! As we were leaving the theatre we got a good look at Prince Harry who was also there to see Once. I wonder how he found it?